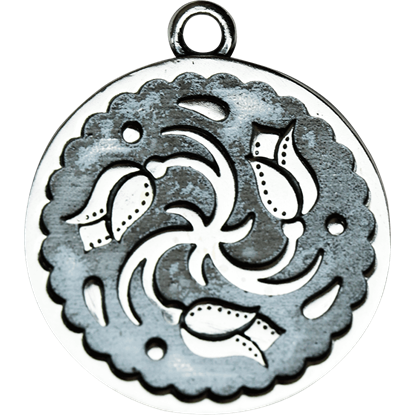 When you want to add a touch of Celtic elegance to your life, check out the delightful Celtic charms we have available here. 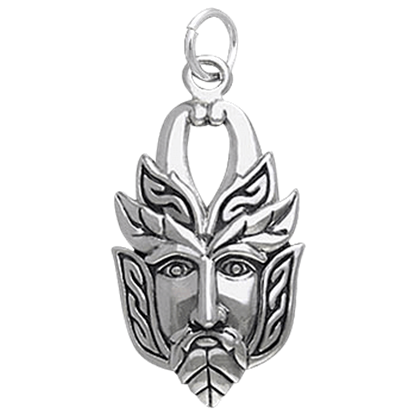 Our selection includes a number of designs like Celtic knot charms, Claddagh charms, Celtic Green Man charms, Celtic cross charms, shamrock charms, and many more. Our Irish jewelry charms are meticulously crafted from fine metals like white bronze and sterling silver to ensure a gorgeous appearance. 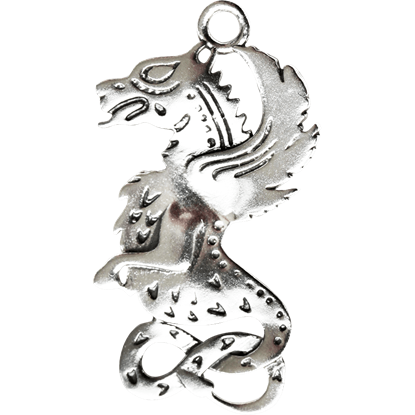 Certain charms may also come with gemstone options. Peruse the intricate knotwork and other designs featured in this section to find the perfect piece to add to a phone, keychain, or bracelet! Celebrate your Irish pride with this charm that combines three iconic Celtic symbols in its delightful design. 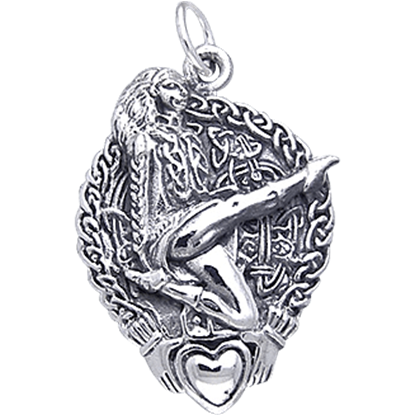 The Celtic High Kick Dancer Charm shows off a dancer in mid-kick above a Claddagh heart design. Displaying a beautiful design that draws the eye, the Celtic Knot Cross Charm features an intricate knotwork cross that hangs from a small loop. The elegant cross has equidistant bars and a subtle knotwork nimbus. The combination of intricate Celtic knotwork and an elegant heart creates the perfect symbol of eternal love. 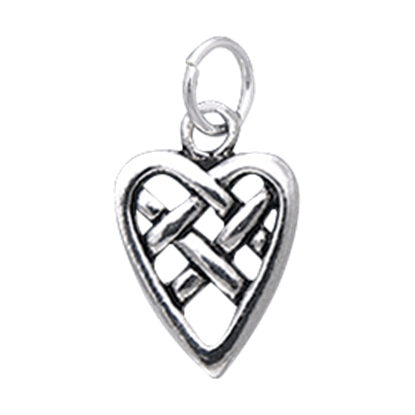 The Celtic Knotwork Heart Charm makes a great addition to a necklace, bracelet, anklet, keychain, or phone! 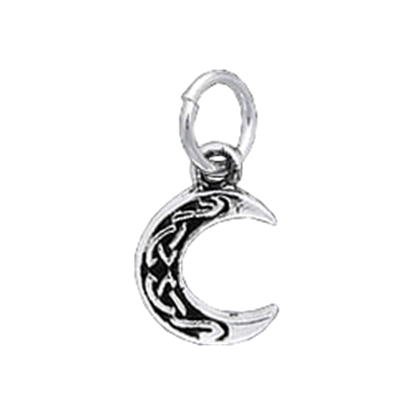 With Celtic inspiration this crescent moon charm pendant is a unique way to celebrate the beauty and importance of the moon. The Blue Moon Collection has been created to celebrate the place the moon occupies in Pagan and Wiccan rituals. Ancient Celtic designs represent motion and the changes of nature with their winding spirals and intricate knotwork. 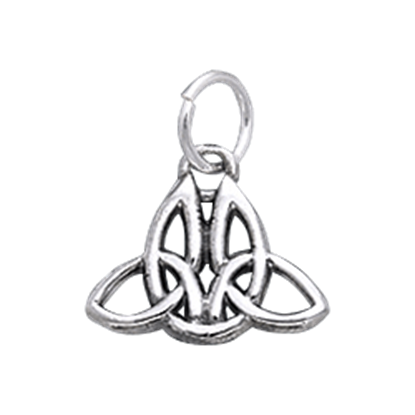 The Celtic Spirit Triquetra Charm displays an elegant endless knot hanging from a small ring. The triquetra speaks of various concepts of three with its three-pointed design, ideas such as past, present, and future or maiden, mother, and crone. 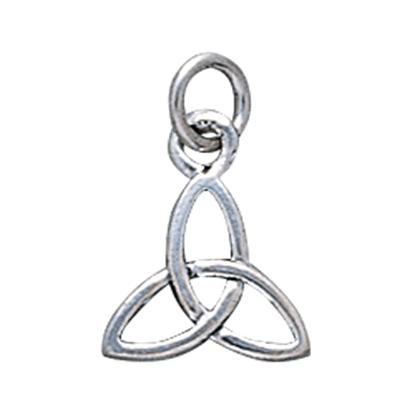 The Celtic Triquetra Knot Charm hangs an elegant threefold knot from a simple loop. Ancient Celtic triquetras represent various elements of the natural world with their three winding loops that form the triangular knot. 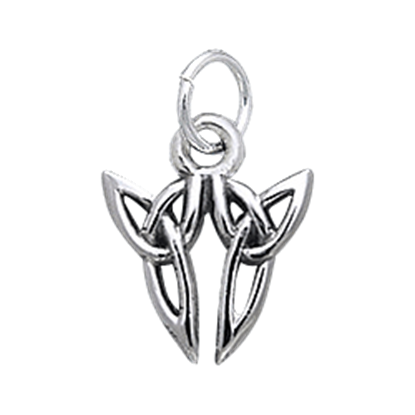 The Celtic Twin Triquetra Charm displays a pair of knots hanging from a small ring. A classic Quaternary Knot is captured in sterling silver, allowing you to wear one of the oldest Celtic symbols and express your love for this ancient art. 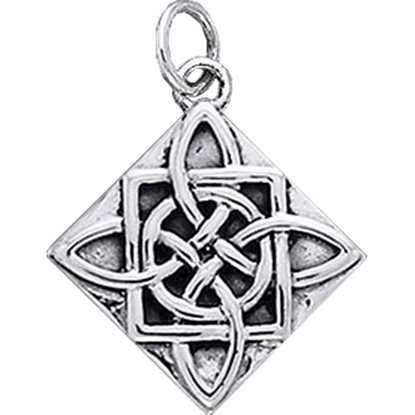 The Four Point Celtic Knot Silver Charm showcases the beauty of Celtic tradition. In Celtic tradition, Imbolc was a midwinter festival celebrating the halfway point to spring and the goddess Brighid, later known as St. Brigid. 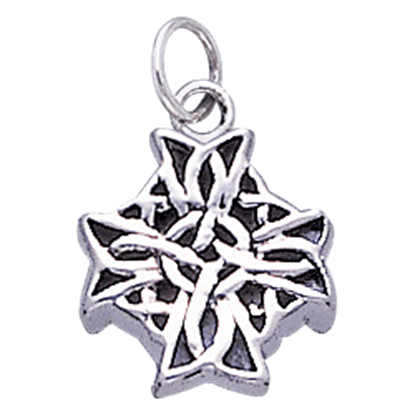 The Imbolc Charm embodies the spirit of this holiday while staying true to Celtic designs. In Celtic mythology, the Morrigan was a fearsome goddess of death, earth, and sovereignty who took the form of a raven to interact with mortals. 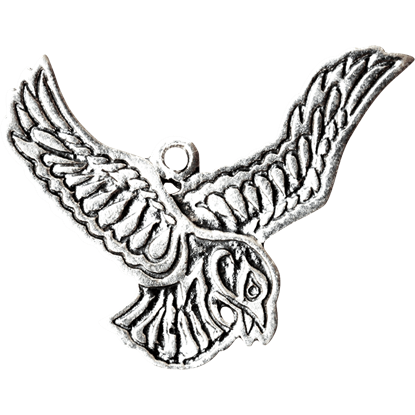 The Morrigan Charm takes the goddess in her avian form and further immortalizes her.